With no meetings today, I am dressed down (for me). I am wearing a royal blue shirt dress from I.N.C., a Macy's brand. I got this dress for 70% off, and always get so many compliments on it. I've had it for years. It's my go-to dress when I want to be comfortable at work. 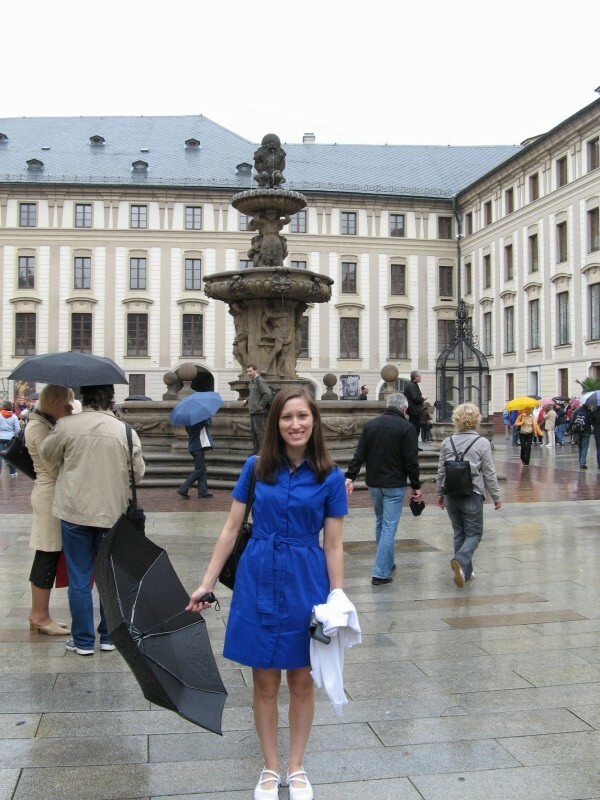 Here is a picture of me wearing the dress in Prague in 2008. We did a lot of walking around on that trip, so I am wearing my white Sketchers. Another person on our grad school trip made fun of me for wearing "old lady shoes," but hey, I was comfortable.